The house was built in l866 for Captain William Kennedy, using stones quarried from the Red River banks at nearby St. Andrews Rapids. 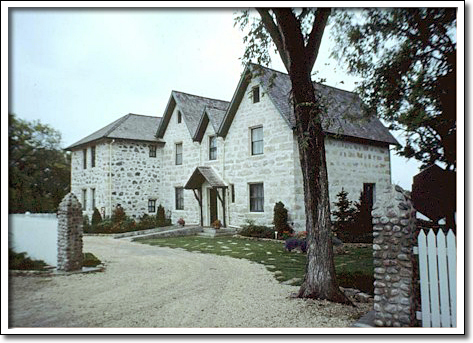 The Gothic Revival style of the Kennedy House is architecturally distinctive, compared to the other old stone houses built in the Red River Settlement, which reflect Georgian influences. In contrast with the rectilinear outline of Georgian designs, domestic buildings in the Gothic Revival style were often highly irregular in outline with sharply pitched roofs having numerous gables. By contemporary Eastern Canadian or British standards Kennedy House was simple and unadorned. By Red River Settlement standards, however, it was very fashionable. Since the destruction of several early stone houses along the Red River, Kennedy House now stands as one of only seven remaining and one of only three in excellent condition.